Two years into Jerome Powell’s tenure as Fed Chairman, the Fed has apparently acquired a new outlook on the country’s economic condition. 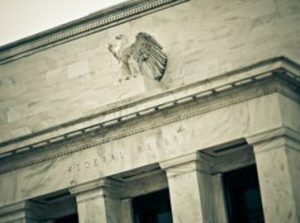 During yesterday’s banking system, corporate and business debt report, the first of its kind, the Fed acknowledged and actually warned of “generally elevated” asset prices that “appear high relative to their historical ranges.” In addition, it was noted that the central bank is concerned with ongoing trade tensions between the U.S. and China, which are running very high. Geopolitical tensions combined with high asset prices have the ability to provide downward and potentially volatile stock market pressures. “An escalation in trade tensions, geopolitical uncertainty, or other adverse shocks could lead to a decline in investor appetite for risks in general,” the report said. These conditions and concerns have been reported by many over the past two years, but investor response has been the same in all cases. Following yesterday’s report, the DJIA closed up more than 600 points. Nevertheless, the dangerous reality persists, as so-called leveraged loans have surged recently, creating an abundance of companies whose bonds are rated near the bottom of the investment-grade scale and are thus susceptible to slipping into junk bond territory. Further, the Fed report noted that the share of investment-grade debt classified at the low end of the range has “reached near record levels” of $2.25 trillion, or about 35% of the total corporate bonds. These realities combined with the fact that public companies borrowed $1.8 trillion in cheap Fed money and invested $2.1 trillion in stock buyback programs, leaving many companies without funds when and if opportunity knocks, are laying the groundwork for quite limited future growth. Meanwhile, today’s DJIA close put an end to a three-day rally, President Trump cancelled a meeting with Putin at the G-20 summit, and Volvo blamed the ongoing trade war for negative options being considered regarding a South Carolina factory. Tax cuts funded this year’s economic surge, but emerging signs of weakness in major sectors, including auto manufacturing, home building, and agriculture, are prompting a new group of forecasters to warn that one of the longest periods of economic growth in our history could be approaching the end of its run. Continuing interest rate increases create greater debt and higher costs, but failure to achieve at least a 5% interest rate, leaves the Fed powerless to offset or even affect a recessionary slump. If the economy is able to make it through the end of the year without a serious market correction, then beginning next year, stock market volatility will increase as trade tensions continue, the 3.7% unemployment rate touched this year will become recent history, and the economy will slow as credit tightens and Trump’s fiscal stimulus finishes its course and effect. But major headwinds lay ahead for the economy and public companies in particular. It’s just a question of whether investors care to realize it now and take action, or pay for it later. Precious metals are one of the best forms of portfolio protection against the coming headwinds. Call the professionals at American Bullion, at (800) 653-GOLD (4653).